Since mid-July this year, the country was hit by an avalanche of food related videos that are circulating on social media about the alleged ‘unsafe’ manufacturing of certain fake foods in South Africa. Ordinarily, we would have dismissed these as part of the modern times industry of fake news, but due to the high volume of complaints received by the Department in the past few days, we took these allegations seriously as potential for danger to human health. While the authenticity of these videos cannot be verified, we had to act swiftly on allegations of expired foodstuff sold to the public. We have the responsibility to determine if there is truth into these allegations, and where necessary, take urgent action against perpetrators. On 8 August 2018, the Chief Directorate, Environmental Health in the Department of Health wrote letters to all 52 district municipalities and metros asking them to conduct inspection blitzes in all food premises. These inspections commenced immediately thereafter, but it was not publicized. As of today, 12 districts and metropolitan areas out of 52 have handed in reports. These are are Alfred Nzo, Frances Baart, John Taolo Gaetsewe; Eden District Municipality; Central Karoo; Ugu District Municipality; City of Johannesburg; City of Ekurhuleni; Gert Sibande District Municipality; Sedibeng and Nelson Mandela Bay. 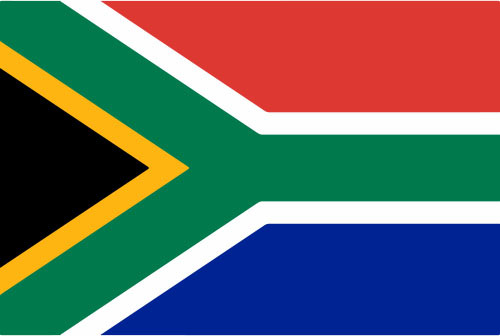 A total of 102 joint operations with the South African Police were undertaken by Environmental Health Practitioners. 454 premises were reached. The operation revealed that 281 premises were operating without valid Health Certificates. 100 premises were issued with Notices to stop operations. 292 premises were found to be non-compliant. 2151 foodstuff items (864kg and 537 litres) were seized. 1296 foodstuff items (7475 kg and 101 litres) were detained for further investigation. All this work was done from 8 August 2018 to date and is ongoing. On 31 August the National Consumer Commission together with the City of Tshwane, the Companies and Intellectual Properties Commission, National Regulator for Compulsory Specifications, SAPS and representatives of the trade mark owners. Six premises were closed down. Five of them for non-compliance with their zoning certificates and one for the them for trading in counterfeit goods. We note that there is confusion amongst the public between counterfeit food, fake food, expired food, best-before date and sell-by date. There are three dates recognized by the Codex Alimentarius Commission (this is the WHO and FAO that control matters pertaining to food consumption around the world). Best-before date: This is for long shelf life dry or canned products. It is used for stock rotation and is not an indicator of safety. Use-by / Expiry date: this is the ‘expiry date’ as we know it. It means that food is no longer palatable after this date. For perishable food, this means it can no longer be consumed. Counterfeit goods: these are goods manufactured and sold under another companies brand name. The term ‘fake food’ has been used by social media to refer to food that does not contain food substances – for example ‘plastic food’ or ‘bread that does not dissolve in water’. The food industry has been requested to confirm the authenticity of potential counterfeit foodstuffs which include verifying the brands of their products such as soft drinks, tinned foodstuffs, etc. currently displayed on social media platforms. The Department is working in partnership with other Government regulatory authorities from Agriculture and Trade and Industry including the National Consumer Commission, to confirm allegations of compromised quality standards. 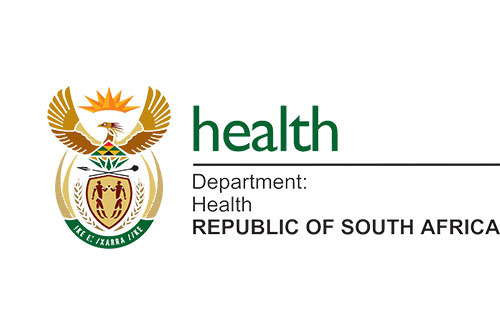 The public is encouraged to notify environmental health practitioners and the South African Police Services regarding any suspicious foodstuffs and provide evidence where possible. Some media organisation, informed us around 15 August 2018 that they are doing their own investigation of on the ‘alleged fake and expired food’ and that they are going to buy these fake foodstuffs. To date, the Ministry of Health has not received evidence of fake foodstuff made of material such as plastic. We have not received any reports or notifications of human illness associated with such ‘fake’ food products doing rounds on social media. Yes, we have removed and destroyed expired foodstuff in premises that have been inspected. We appeal to the public, including the media, to bring to authorities tangible evidence of food-stuff made of non-biological and potentially harmful substances and chemicals; including bringing to our attention the sales of expired food. Public are requested to call the NDoH hotline 011-386-2003/6 during office hours, and the NCC hotline 012-428-7000.